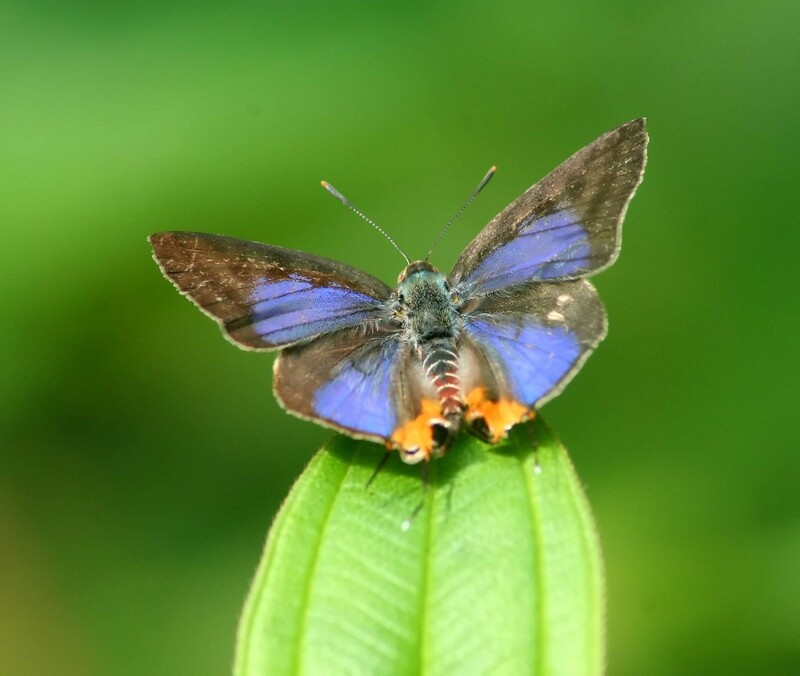 Our Observation of the Week is this Long-banded Silverline butterfly, seen in Thailand by @lesday! 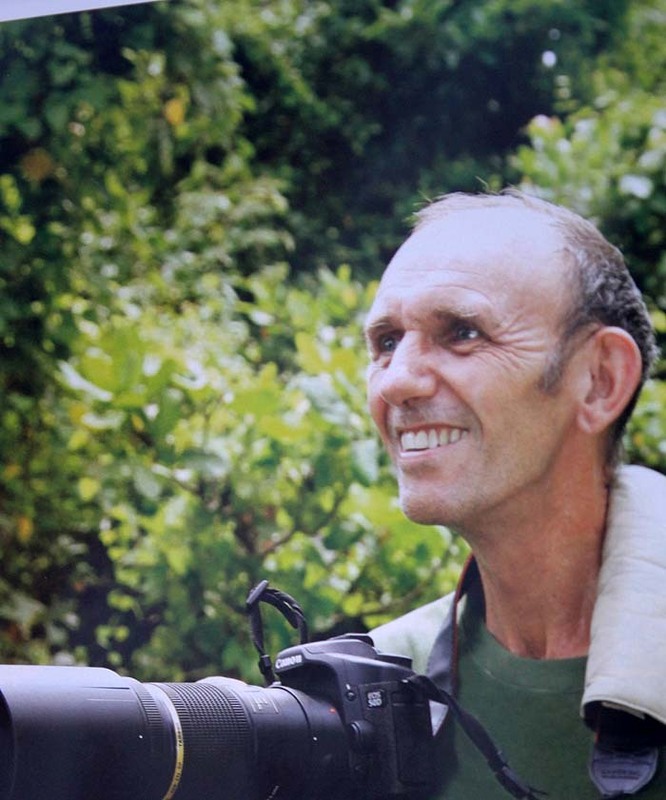 Fast forward to 2007, when he emigrated Thailand’s Ko Samui island in 2007, and Les continued to concentrate on butterflies, including the male Long-banded Silverline butterfly that is the subject of this post. “It is not uncommon on Koh Samui, but usually it is found with wings closed,” he says. “The opportunity to photo the upper side of the species, particularly the more flamboyant male, does not come that often.” Members of the family Lycaenidae, or gossamer-winged butterflies, the underside of its wings are not too shabby either - a real stunner. It is thought that the eye spots near the antenna-like projections of its hindwings act as a “false head”, causing predators such as birds to attack the insect there rather than its actual noggin. Which leads us to iNaturalist and that motorcycle crash. “I started using INaturalist a couple of years ago on the advice of a friend, but I only posted a few moth photos then,” says Les (above). And I will let him tell the story from here. It took a very nasty motorcycle accident on the Thai peninsular mainland a couple of months ago for me to re-evaluate the importance of my photos. I had already been advised by researcher friends at various museums and universities around the world that many of my hemipteran photos were species new to Thailand and furthermore, there were quite a few totally undescribed species as well. Whilst stuck at home, unable to go out in the field, I realised that these photos would be lost if anything more serious should happen to me, as they were kept on my hard-drive and on my personal website, both of which would be lost after a year or so. I needed to find somewhere where they would remain available to researchers and the general public and iNaturalist came to mind, so, since I have been holed up at home recovering, I have been placing nearly all my photos on iNaturalist. I have been fortunate that some new identifications have been forthcoming from informed identifiers for which I am very grateful. I have nearly finished posting my old photos, just about 1500 butterfly species and subspecies left from around S.E.Asia. Once finished, it will be easy to update daily findings when I am finally able to go out into the field again. - The larvae of Long-banded Silverlines are associated with ants, as seen in this video. Check out its reaction when an ant gets too close to its posterior! - The photo of Les is was taken by Johnny Patterson, for this article. Wonderful photo and project! Thank you for this. I hope your recovery is total and quick. Thank you so much for what you are doing Les, uploading all your great photos. And what an interesting species this is! Great post! Hope @lesday recuperates speedily! Fantastic project! Congratulations on your finds, and best wishes for a speedy recovery! What a lovely looking butterfly. I also love all your photos on your iNaturalsit site. Thank you for uploading your past photos, as well. I hope you heal quickly but safely. Thank you all for your kind comments. I hope to be back out in the field in a month or so's time. @lesday This is awesome - you're awesome! Heal quickly! thank for your great work ! I hope we will see us again in Khao Sok ! Congrats on finishing uploading old photos and quick recovery! I have uploaded also most of my old photos dating back to 1998. No new species but 52 new species to inat ;-) Also I have fun identifying species in my 1500 sqm garden, where I have now more than 450 species identified: 105 coleoptera, 96 lepidoptera, etc. Inat is great!